Adorable Gift Baskets offers a large selection of beautiful wedding gift baskets, unique bridal shower gifts, and wedding gift ideas. Find gifts for bride, groom, bridesmaids, groomsman and attendants. When wedding bells are ringing, friends and relatives must scurry to find that perfect wedding gift. Whether for the bridal shower or the couple's unique gift table at the reception, you can express your congratulations quickly and affordably with a wedding gift basket. Adorable Gift Baskets offers wedding baskets in a variety of price ranges, beautifully decorated for a stunning presentation. Beach Dream Weddings at a fraction of the cost with photos included! 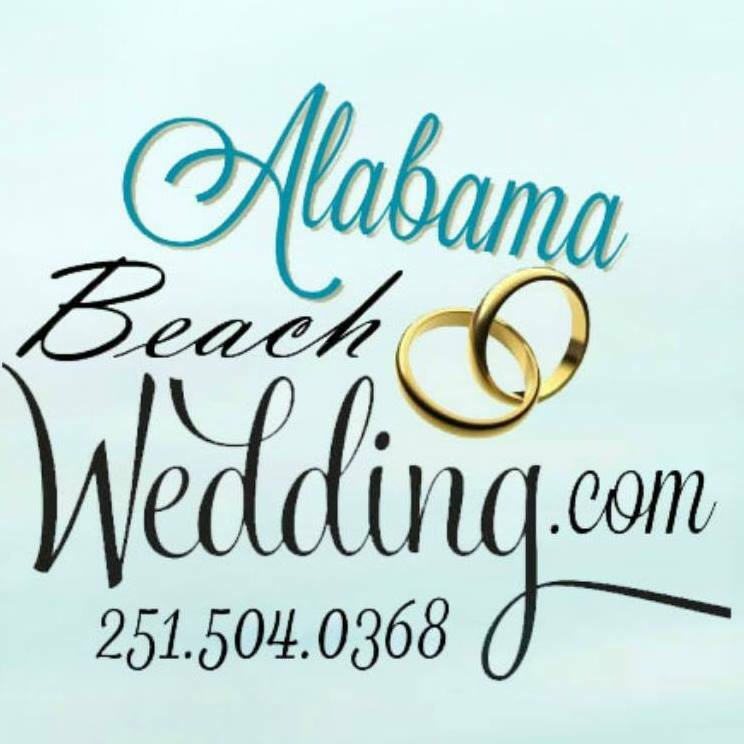 Affordable weddings on the beach, elopements, last minute beach weddings and vow renewals. So Why Send A Wedding Basket? 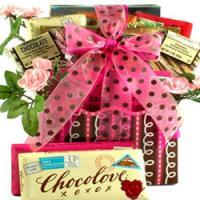 Wedding gift baskets are one the most beautiful gifts that you can give to the newlyweds. 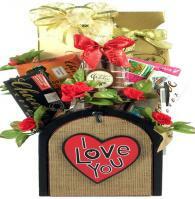 A gift basket is especially convenient if you have limited time, but still, want to present a glamorous wedding gift. Also, wedding gift baskets are very decorative. Wedding baskets are designed with lovely colorful ribbons, a beautiful basket, and delightful products to make them a real eye-catcher on the gift table. 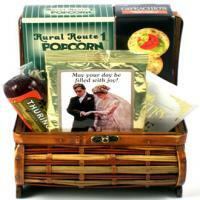 Some ideas for wedding gift baskets include a gourmet food basket, champagne baskets, or luxury gift baskets. 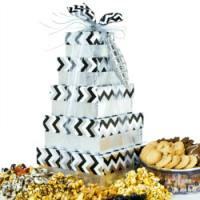 Gourmet food baskets for weddings may contain delicious goodies and tasty wedding treats. Specialty gift baskets such as gourmet Italian gift baskets, kosher gift baskets, chocolate baskets, or even tea gift baskets are all creative wedding gifts. If the couple plans to move into a new home, they've just purchased, choose a lovely housewarming gift basket. Or, if you're still not sure, try a gourmet wedding basket to satiate any taste bud. These delectable treats are sure to be enjoyed during the honeymoon evening! There are also numerous wedding shower gift baskets or bridal shower baskets if you plan to attend a bridal shower. Keep in mind that you're not limited to give just a gift basket. Wedding shower gift baskets can be used to complement another wedding gift such as a romantic dinner gift certificate, a money gift, or some other surprise wedding gift item. At Adorable Gift Baskets, you can easily browse our site to find decorative and affordable gift baskets for wedding showers or elegant gift baskets for the wedding reception. There are numerous gift basket ideas for a bridal shower, so select one that fits their style and personality. 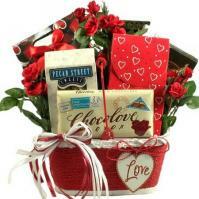 If a loved one is getting married in another town, you can quickly send gift baskets to the couple. It's now easier than ever to congratulate the bride and groom with an elegant wedding gift basket!